While you are sleeping, the extremely talented and versatile singer, songwriter, actress and dancer, Taveeta, is strategically preparing for her next move. Combining her love of music with her passion for acting, performance, and dance is been a dream come true. The Gladiator Records Recording Artist, who released her debut album “Resurrection” in the summer of 2017, to critical acclaim, is set to release the remix to her heart-pounding and uplifting anthem “Paradise” produced and remixed by resident hitmakers 80 Empire (Cee-Lo Green and Musiq Soulchild). Taveeta’s debut album, “Resurrection”, takes us on a journey of self-discovery and perseverance, while allowing us to identify with Taveeta’s powerful resurgence on every track. 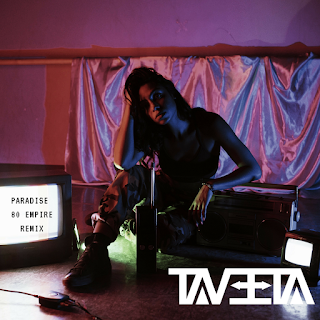 With the release of Taveeta’s “Paradise” Remix, fans can expect a more beguiling version of emphatic original.